With a dedication to dentistry of the highest standard, we are proud of the depth of skills and experience within our forward-thinking team of highly trained dental professionals. 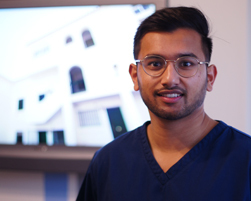 As a team, we take a gentle approach to dentistry and we aim to ensure that our patients are able to relax in the knowledge that they are in safe, caring and capable hands whilst they are in our care. Dr Thakor has a keen interest in tooth whitening and invisalign treatment. He enjoys seeing patient smile transformations and seeing patients grow in confidence. He is also a dental foundation trainer and received an award for Educational supervisor of the year. Dr Thakor is an invisalign and Cfast provider and recognised enlighten whitening provider. Dr Desai is the secretary of a local dental committee and plays a pivotal role in helping deliver dentistry in Leicestershire. Dr Desai is also a dental foundation trainer. He has a keen interest in cosmetic dentistry including facial aesthetics and invisalign. Dr Desai is able to provide facial rejuvenation and an invisalign provider. 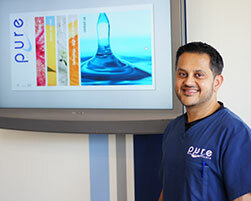 Dr Shah is a dental foundation trainer and has been for 16 years. He is an invisalign and 6 month smiles provider, a recognised enlighten whitening provider and a member of British academy of cosmetic dentistry. He has a keen interest in full mouth and facial rejuvenation using the latest technology treatment. 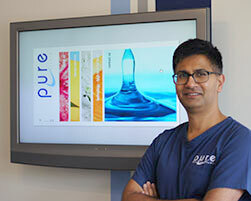 Dr Rughani has a keen interest in aesthetic and restorative dentistry. He has committed to the pursue of excellence, providing a patient centred environment. And becoming a specialist his interests. 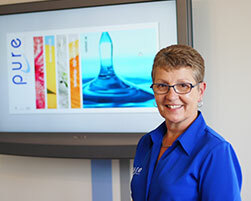 Carole is passionate about oral hygiene. 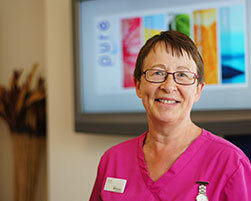 She enjoys helping patients to reach maximum oral health and maintain it. In particular, she enjoys giving advice to pregnant mums and parents to help their children to have a healthy mouth and happy smile! 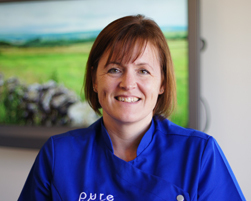 Cherise is passionate about teaching patients to achieve and maintain excellent oral health in a relaxing friendly environment. She finds educating patients about their oral health, and how it relates to their general health and well-being at every stage of life, rewarding. Level 5 Diploma in Management and Leadership 2015. National Certificate in Dental Nursing 2012. 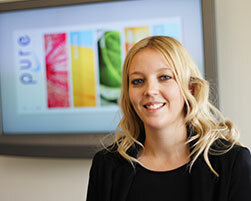 Jodie has a particular interest in dental legislation and enjoys implementing this into the practice. 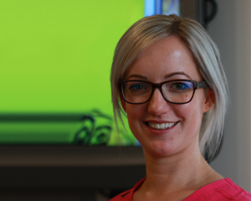 Jodie also enjoys helping patients through the patient journey and seeing the fantastic results the dental team achieve. City & Guilds Computer Technology, Mental Capacity Act Certificate. Heather enjoys keeping the reception area flowing smoothly, she also enjoys talking to our patients and answering any queries. 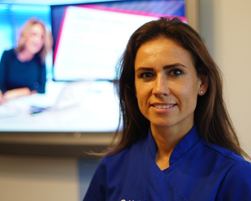 Jessica has a keen interest in cosmetic dentistry and enjoys assisting in restorative dentistry procedures. 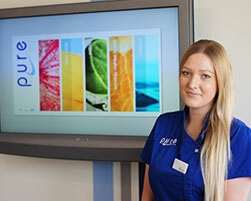 Jessica enjoys assisting in facial aesthetic procedures and is hoping to pursue this further. Foundation Degree in Dental Nursing 2012. Ava has a keen interest in infection control and is in charge of this at the practice. She is also a mentor for student dental nurses that visit from Northampton university. Ava has a keen interest in oral health and hopes to pursue this further. Diploma in Dental Nursing in Dental Nursing Level 3 QCF City & Guilds 2017. Bethany enjoys assisting in cosmetic dentistry in particular Invisalign procedures and enjoys seeing the transformations our dentists can make. Vicky enjoys building rapports with patients and meeting new people. Vicky likes to see the smile transformations that our dentists produce. Enrolled onto Level 3 NVQ in Dental Nursing & a Degree in Public Health Nursing. 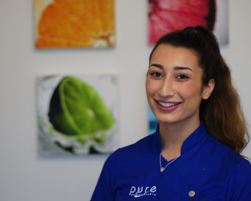 Elena enjoys assisting in minor oral surgery procedures and has a keen interest in the anatomy. 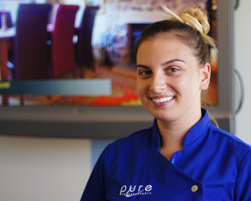 Upon completion of her course Elena would like to pursue her dental career further.